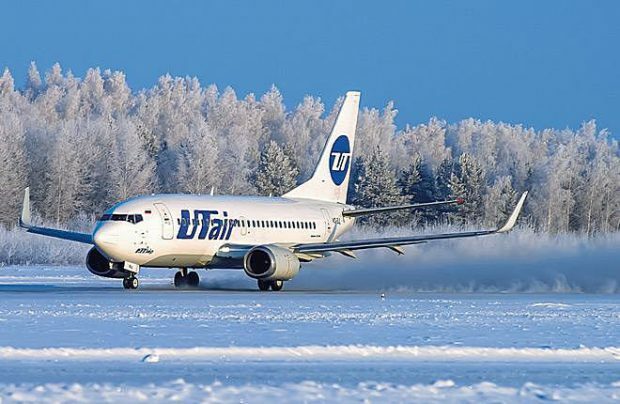 Utair Airlines, Russia’s fifth largest passenger carrier (according to 2018’s full-year operational results), which is privately run with some state capital, intends to present a new financial model to its creditors explaining its plans for overcoming its current financial troubles. “We are maintaining an active dialogue with [our] creditors. Now we are approaching an important milestone – we are getting ready to present our new financial model, our roadmap to our creditors. This should happen in late February,” explains Andrey Martirosov, the airline’s general director, who usually maintains a dignified silence on his company’s standing. Martirosov points out that the airline is currently analysing what assets it will be able to offer to its creditors. “That’s exactly what we’re working on right now. Basically, what we are seeing at the beginning of 2019 gives us optimism that certain cash flow will finally be generated and [this will] enable us to approach the creditors with a constructive solution,” a press gathering, including Russian Aviation Insider, was told in Tyumen, west Siberia. Last week, Alexander Neradko, the head of Russian aviation regulator Rosaviatsiya, told local media that Utair has not applied for state handouts. He also emphasised that the airline “demonstrated very good operational results” in January and that the authority is keeping a close eye on its financial situation. “In respect to its debts, it is subject to the airline’s further work with its creditors,” Neradko said. Utair has been struggling with financial constraints since 2015 when, in a debt-restructuring effort, it signed two agreements with a syndicate of 11 Russian banks – one for 18.9 billion roubles (US$291 million) for seven years and the other for 24.1 billion roubles (US$371 million) for a 12-year term. According to the latest available data from Russian Accounting Standards, Utair’s net loss for the first nine months of 2018 was 1.9 billion roubles.